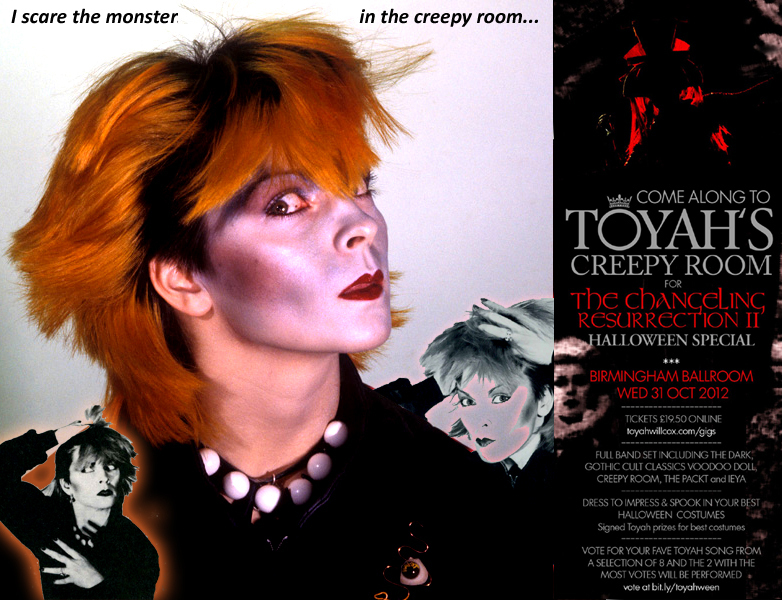 Happy Halloween: Toyah’s Creepy Room TONIGHT! Trick or Treat? 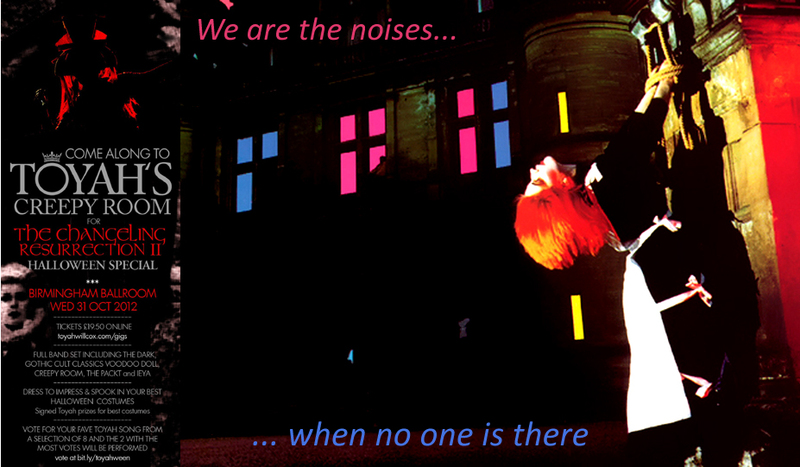 Of course it’ll definitely be the latter tonight at Birmingham Ballroom with The Changeling Resurrection II Halloween Special: Toyah’s Creepy Room. Dress in your best spooky outfit, expect The Packt, Creepy Room, Voodoo Doll & Ieya in the set list, and have fun! 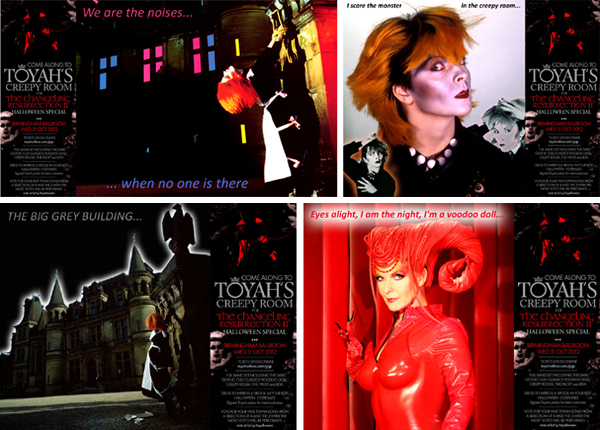 Just one day to go until Toyah’s Creepy Room spooks Birmingham… Buy tickets here. 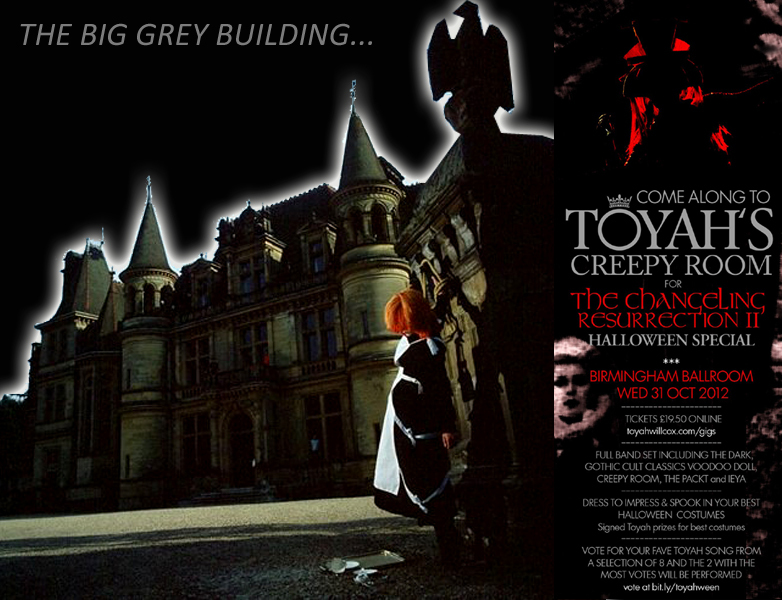 There’s now just one day to go until Toyah’s Creepy Room sends shivers through Birmingham Ballroom as The Changeling Resurrection II hits the city for a Halloween Special. Here are Dreamscape’s three and two days to go countdown images. Check back later today for the next one. Please click on each to zoom. Buy Creepy Room tickets here. It’s Halloween: Viva La Rebel In You! Happy Halloween to all Dreamscape’s visitors. The great news this October 31st is that Toyah’s Latex Messiah (Viva La Rebel In You) is currently number 30 on the iTunes Plus Top 100 Downloads Chart, and, better still, number six in the iTunes Plus Rock chart. It is also no. 92 in the general iTunes Rock chart. Keep downloading! !